World Health Day, which was on the 7th of April, focused on Diabetes this year. 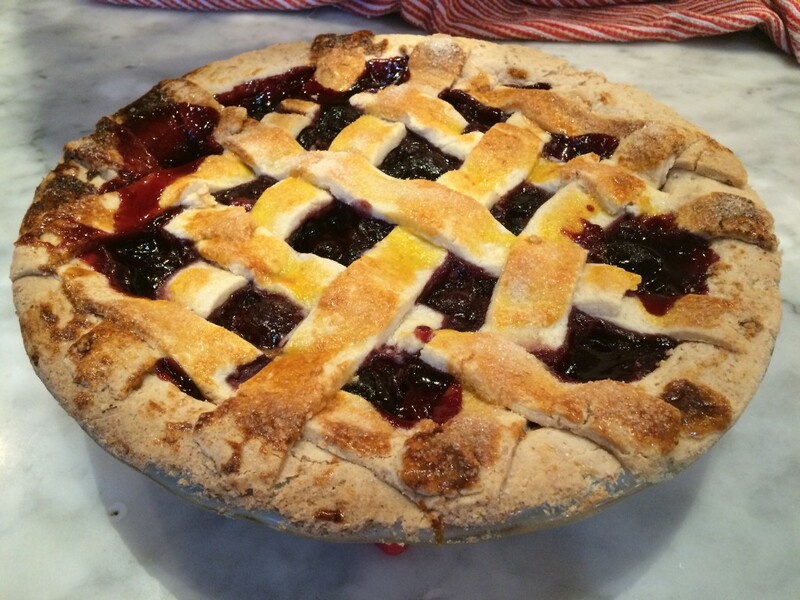 This cherry pie is paleo and gluten free. It has absolutely no sugar and you would never know it! I used a sweetener that is fairly new to the market. It is not all that well known but it should be. Once I found this new alternative sweetener, I had the idea to attempt my husband’s favorite dessert: a real paleo-friendly, double-crust cherry pie. Corey and Michelle founded the The ZenSweet Company with a desire to help others achieve a low-sugar, low-glycemic life. They were well aware of the rising need for help and alternative healthy approaches to address this matter. They felt they wanted to support and DO something about it. Hence, The ZenSweet Company was born. This sweetener is non-GMO, low-calorie and diabetic-friendly. Their new website’s motto is “Health made easy. Live naturally sugar-free.” If you’d like to try some ZenSweet, you can read more and purchase it at their website: http://zensweet.com. Getting ready to place the top crust on this delicious pie. My husband LOVED the cherry pie. 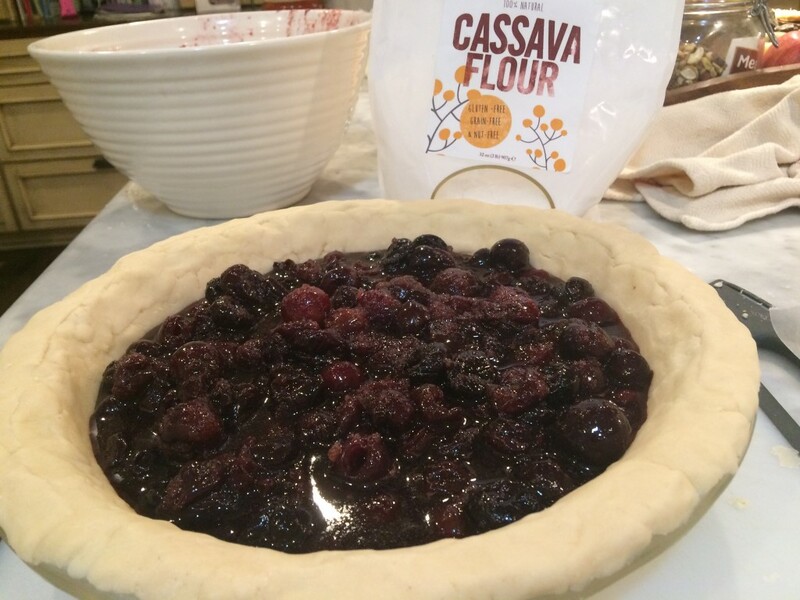 I also created a new cassava flour pie crust as a paleo option which you may enjoy. There are many gluten-free versions out there yet I VERY seldom use grains, unless asked to for a party. I do use butter or spectrum organic shortening for my really flaky pie crusts. Enjoy and do let me know how your cherry pie turns out! For quite the after-dinner treat, try it a’la mode with my paleo vanilla bean ice cream. Look at that beauty! My husband LOVED it and so did I! 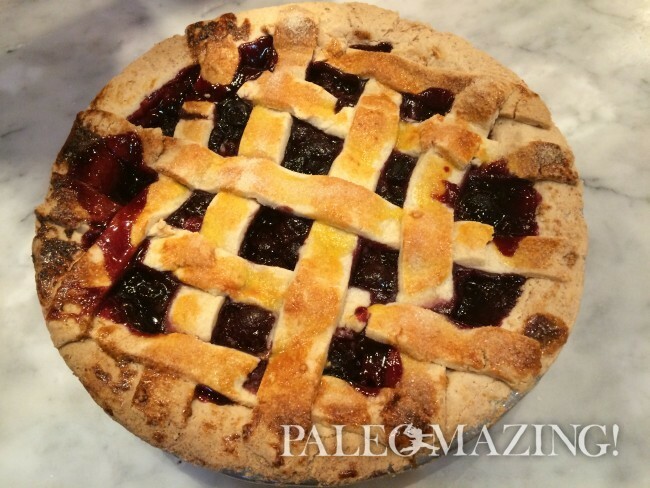 This cherry pie is paleo and gluten free. It has absolutely no sugar and you would never know it! I used a sweetener called Zensweet that is fairly new to the market. It is not all that well known but it should be. Once I found this new alternative sweetener, I had the idea to attempt my husband’s favorite dessert: a real paleo-friendly, double-crust cherry pie. Place pie crust in a 9" deep pie dish. Mix all ingredients in a bowl excluding the cherries, cherry juice, butter and arrowroot. Take some of the juice and mix your arrowroot flour into it until well dissolved. Heat juice and arrowroot on stove and mix well, let cool. Add the cooled arrowroot mixture to the drained cherries, along with the remaining ingredients, and mix together. Pour the cherry filling into the pie dish. Cut the other pie crust into strips for making a lattice pie or cover the pie with the remaining crust. You will cut slits on the top of the pie if you are not making a lattice. Moisten the edges to adhere the lattice or top crust to the bottom crust. Crimp the edges of the pie with your fingers. Brush the top of the pie with egg yolk wash. OPTIONAL: Lightly sprinkle crust with more Zensweet. Turn heat down to 375F degrees. Bake for another 45-60 minutes. Cover the edges of the pie with foil if they start to brown too quickly. Cool pie on a wire rack for about 15 minutes before serving.